Northwest and barking mad | My Dogs Don’t Bark…. The details contained within tells you just about everything you ever wanted to know about the process of getting your local authority to serve a successful noise abatement notice on a persistently generated noise nuisance. 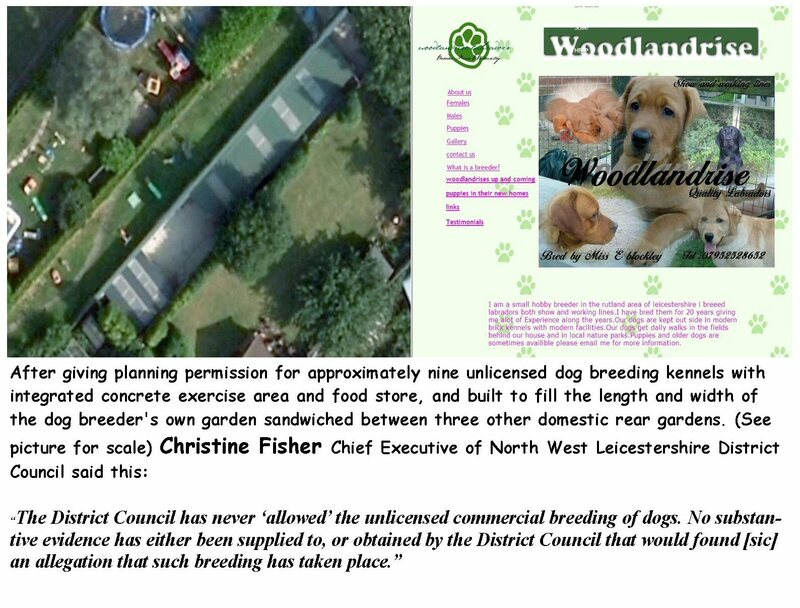 This is a true account of our dealings with the North West Leicestershire District Council relating to a noise nuisance problem arising out of a council tolerated, but illegally built and unlicensed, dog breeding kennels . It is hoped that the reader will gain an accurate insight into current UK statutory law, and the ever inventive way local authorities find to excuse illegal dog breeding activities in their area. 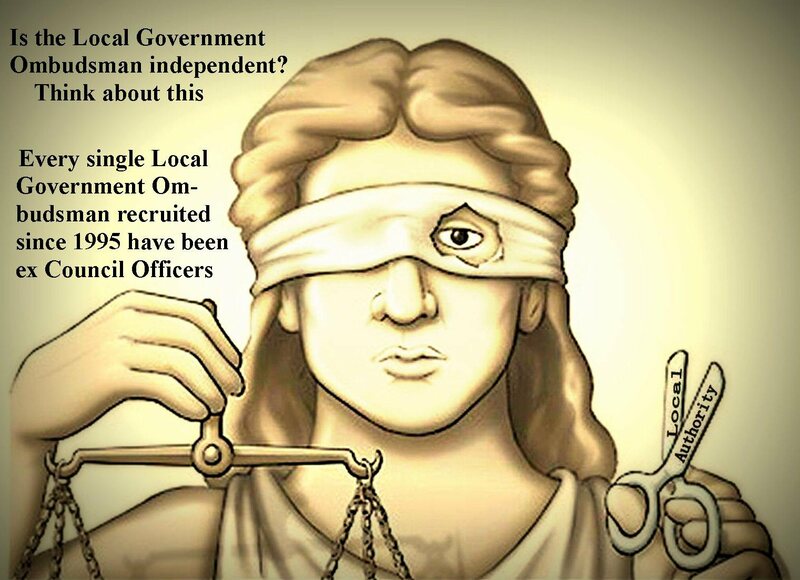 It starts with our own local authority and ends with a year-long investigation of the authority by the Local Government Ombudsman. The following UK statutory law is very clear, but unfortunately the councils understanding of it was not. Breeding and Sale of Dogs (Welfare) Act 1999. Breeders who breed four or more litters per year must be licensed by their local authority. Breeders with fewer litters must also be licensed if they are carrying out a business of breeding dogs for sale. One has to ask why this woman would make such a statement when her own observation and the undisputed evidence tells a completely different story. Could it be the woman who should have know better has made a mistake and cannot now back down? 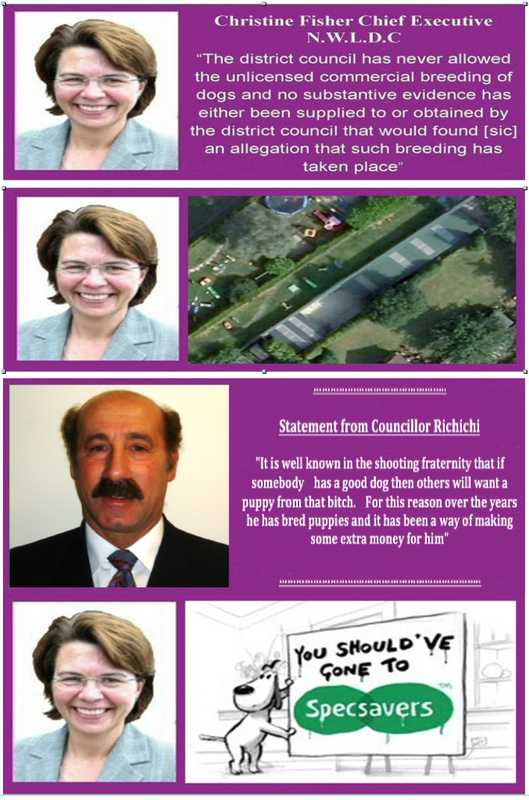 So It would seem that even faced with all the verifiable documented evidence to the contra together with a statement from Councillor Richichi, Ms Fisher refuses to accept the notion that illegal dog breeding has ever taken place. Against that backdrop, this is a fully documented four-year account of the actual processes involved in trying to resolve this relatively simple but widespread problem. 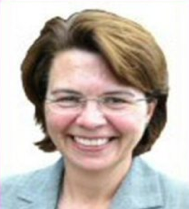 Sadly, our experiences were far removed from the statement made by Chief Executive Christine Fisher, or the flashy rhetoric published on the local authorities own web site. For the record, all details contained were accurately recorded, as and when the story unfolded. It was also written without the aid of hindsight and illustrates a certain amount of frustration together with thoughts at the time of writing. 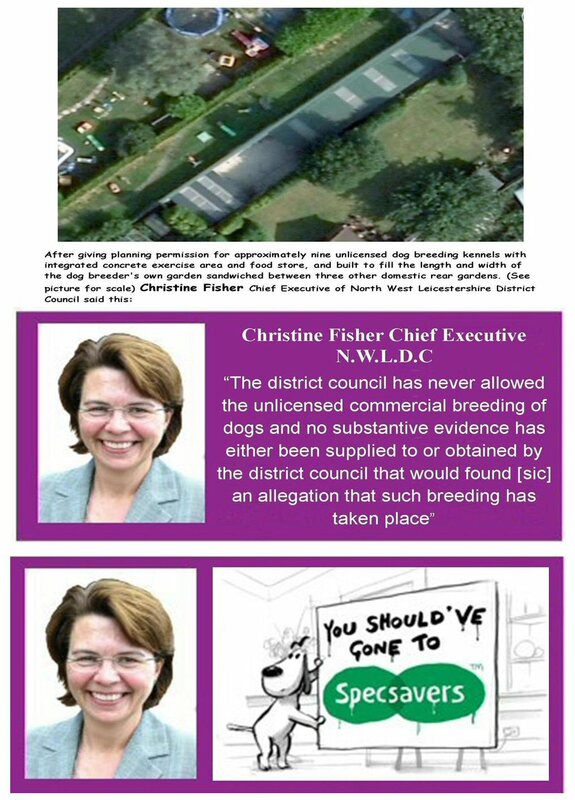 It is hoped that after an examination of all the details the reader can get a clearer understanding of the truthfulness Ms Fishers statement and her extremely poor grasp of the current UK statutory law on dog breeding. All correspondence sent and received when dealing with this matter from the many levels of “The Councils” well oiled, machines are made available for public inspection, in order that a broader comparison of the officially documented account can be made. Our problem started with a noise and odour nuisance caused by unlicensed dog breeding and had been a blight on our lives for around six years. After conveying our displeasure to the owners and discussing their inability to control the source of the said nuisance, it became apparent that stronger action and help was needed. On contacting our local council, and engaging them in ample correspondence we were given the standard advice, mostly as published on the local authorities own websites, in short we were advised by our local authority to follow their well documented and set procedure. It was largely because of our previous, five-year experiences in dealing with the various council departments that in May 2009 after taking advice from a former member of the councils own staff we set out to fully document and record our experience in implementing the councils well publicised set procedure. The local authorities advice, and all instructions have been fully adhered to and complied with. The subsequent results obtained together with all the steps involved have been accurately recorded and documented within this Blog. All information contained has been compiled in real-time as and when the situation developed together with a sometimes liberal interjection of frustrated humour and comments. 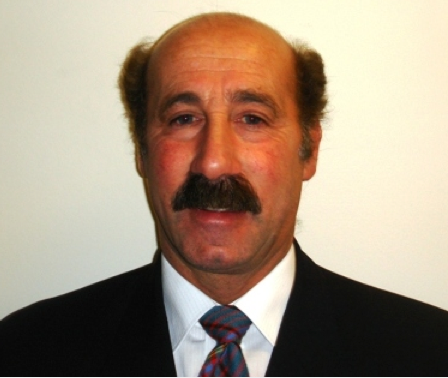 It is hoped that the subsequent documentation will give any interested reader a good insight into the way local authorities and the employees charged with running the various council departments deal with this and other very common nuisances. What has been a complete surprise is the way the council-run departments have been able to stall, stonewall and fudge both the law and their own well-defined and documented processes, and do it in any way that they see fit. This is usually done until the due process has become so over complex, exorbitantly expensive to police and therefore deemed not in the public interest to pursue. The rules governing legal time constraints are another added problem of which the council are fully aware, and if needed, are seemingly prepared to take advantage of. Sounds so simple but it was the sheer frustration in trying to get our local authority and in particular their Environmental Health and Planning Department to understand and act in accordance with the stated rule of law on the practice of unauthorised dog breeding, together with the local authority’s Enforcement officers unwillingness to answer our correspondence and the later flat denial of a fully documented phone call that were the driving force behind these few thousand words. These pages should also give an insight into the mindset of the local authority with a blow-by-blow account of the actual due process used by various departments within The North West Leicestershire District Council. Although a generalisation, all local authorities in the UK should be adhering to the same statutory laws and be singing from the pretty much the same hymn sheet, so in theory, the procedure for dealing with a reported problem of noise nuisance to any local authority in the UK should be similar if not the same. In order to give a fuller understanding of the problems likely to be faced by others in a similar situation, all letters and documents, answered and unanswered pertaining to this case can be viewed or downloaded from the mail section. 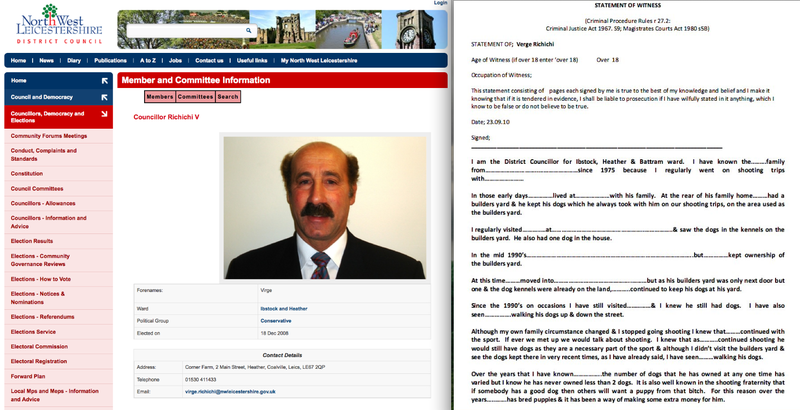 These include all the documents, emails, and other supporting correspondence relating to the alleged noise nuisance from the various departments of the North West Leicestershire District Council our locally elected Councilors, and our local MP, there are also accurate transcripts of telephone conversations and face to face meetings with various officialdom over the full five-year period. A full investigation was carried out by the North west Leicestershire District Council, and as a result, an email was received directly from Chief executive N.W.L.D.C. 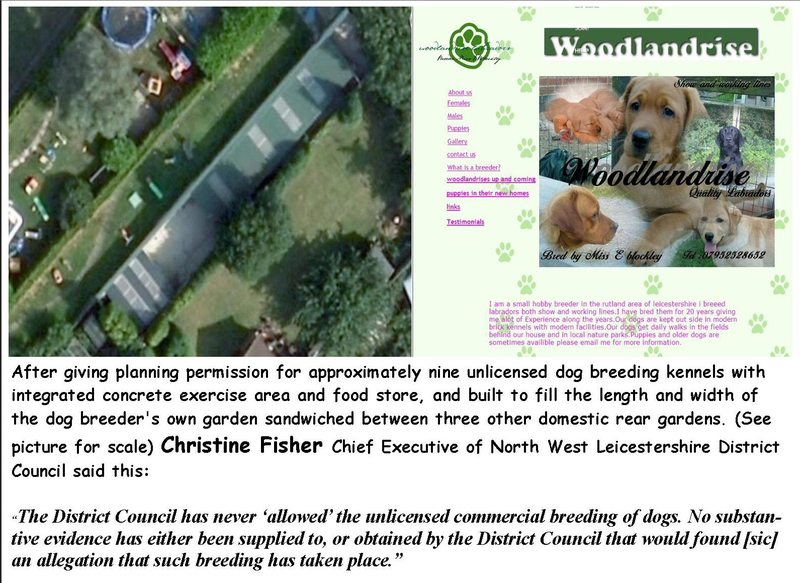 (Christine Fisher) May 3rd 2012, denying that unlicensed dog breeding is or had taken place. After reading the contents of this blog I would like the reader to consider Ms Fishers stance, the obvious untruthfulness of her statement, and why Ms Fisher would feel the need to continue her ridiculous charade. Shown are some of the hurdles and frustrations encountered when dealing with issues through the well publicised official channels, all officially denied, ignored and unanswered correspondence, relating to our noise problem will be published via the documents page. 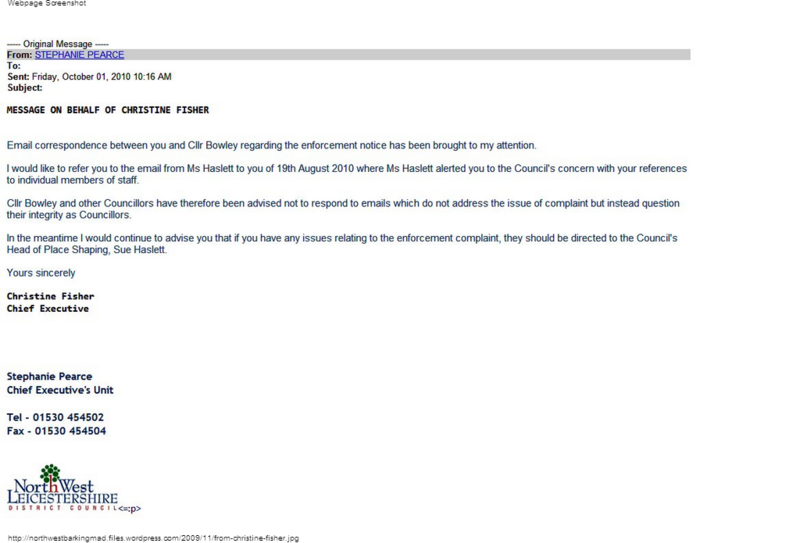 The validity of the councils written denial concerning the councils widespread practice of stonewalling awkward questions and Ms Fishers reasoning behind her advised denial of reply from elected councilors can be examined in detail via some of the many unanswered letters and emails sent to council employees. 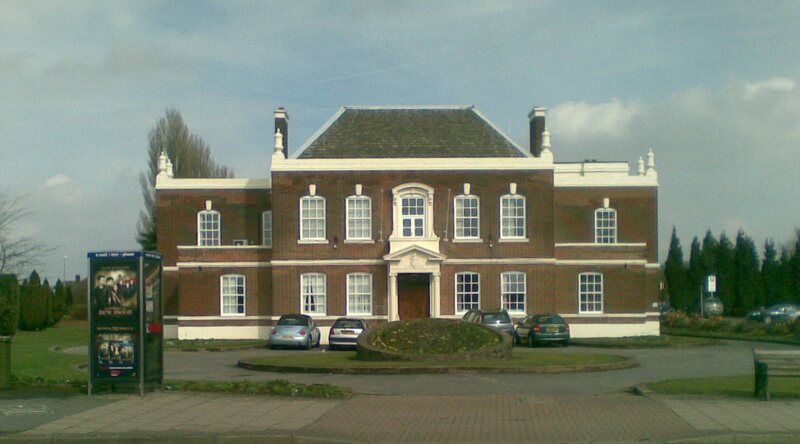 It is also hoped that the reader can get a rounded view of the events that have taken place regarding this practice and the way that employees working for the local authority at the highest level, try to discourage communication between elected councilors and members of the public they purport to represent. 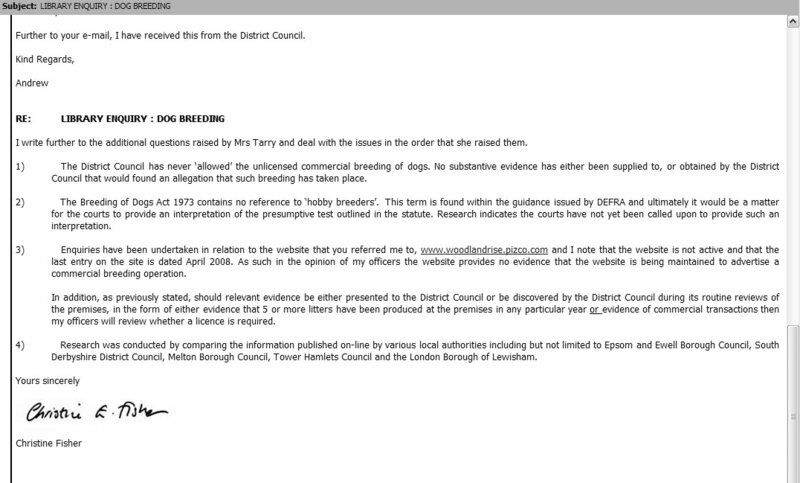 Because of this it was necessary to get clarification via MP Andrew Bridgen who in turn contacted the government minister Lord Mauley who made this definitive statement regarding the UK law on dog breeding which surprisingly is still in conflict with the the Northwest Leicester district councils own interpretation of the same piece of legislation. For this reason the the problem of illegal dog breeding in North West Leicestershire still exists today. 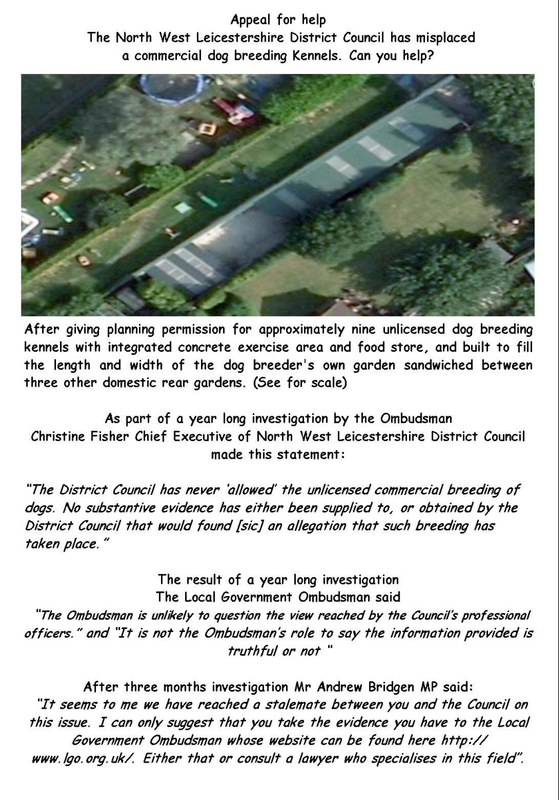 As a postscript to this ongoing problem the local authority has now allowed the owners of the alleged illegal dog breeding establishment to build even more kennels on adjacent land owed by the dog breeders. This has once again given rise to a further noise nuisance claim. The authority requested that a two week written log was carried out from 12th September 2015 till 28th September 2015. 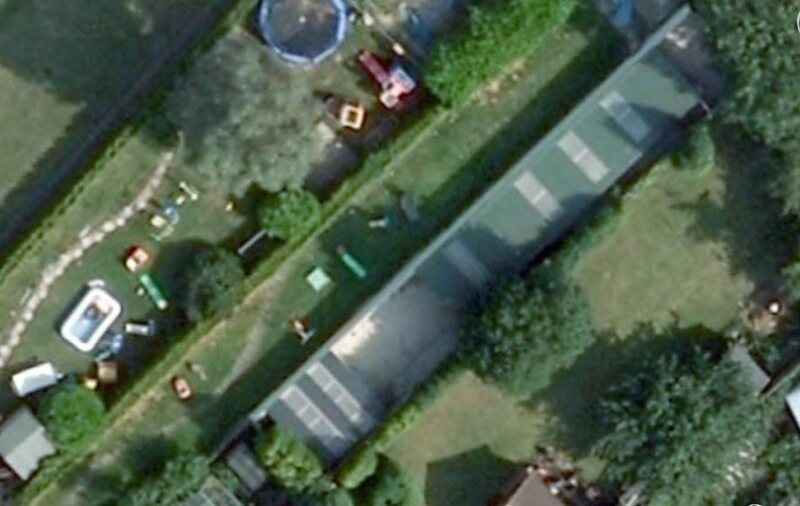 An added complication to the erection of yet more breeding kennels was the illegally ran and sited power supply to the new kennels that the breeders had covertly ran over our land. Although the power cable has been removed on two separate occasions the breeders merely replaced the cable later the same day. In an attempt to avoid unnecessary conflict with the breeders alternative solutions were sought. Western power was contacted and we were advised that expensive legal action to remove the power cable looked to be the only option open to us. They did advise that the breeders had applied to western power for permission to run a new supply from the roadside some distance away to the breeding kennels. This is still an ongoing situation and no decision regarding the illegally sited cable has been made as litigation could prove expensive. After reviewing the log sheets and a few follow up phone calls from ourselves they again agreed there could be a problem and informed me that sound monitoring equipment would be installed and it would take place over a given two day period, Saturday and Sunday. In the meantime the local authority officer suggested that until the problem was sorted out I may like to sleep downstairs towards the front of the building away from the noise of barking dogs. After at first declining his suggestion and many sleepless nights I conceded. I did in fact find it impossible to use the master dormer bedroom and moved out into the front bedroom as he suggested. After almost two months of inaction a further followup phone call to the officer involved was made and it was agreed to install the equipment the following weekend. This was done and the equipment was taken away with recordings Monday morning. It has now been two months and there has been no correspondence from the local authority about the noise problem. On 19th December 2015 we did however received yet another set of two week log sheets from the local authority that we were again asked to fill in. This two week exercise was carried out up to the 14th January 2016 and sent off to the the relevant department. We now wait for any reply all over again. 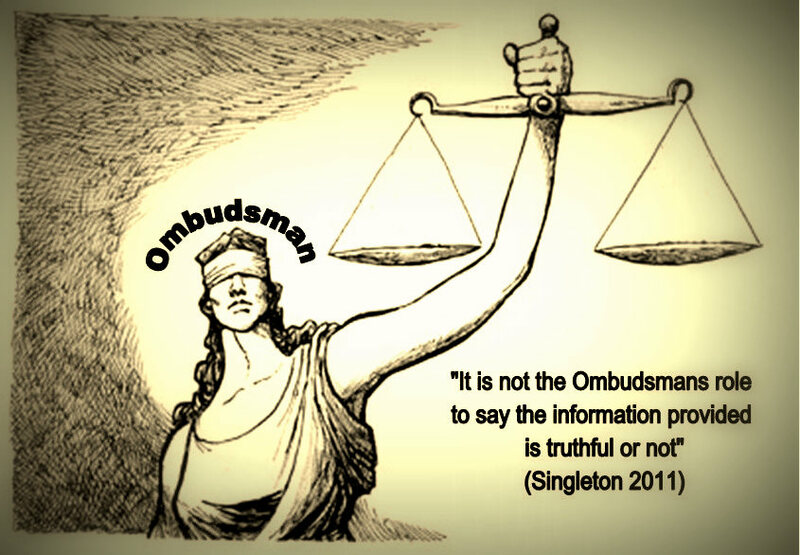 Our local MP (David Taylor) wrote and advised that the only way forward was to contact The Local Government Ombudsman, but that’s another story…. 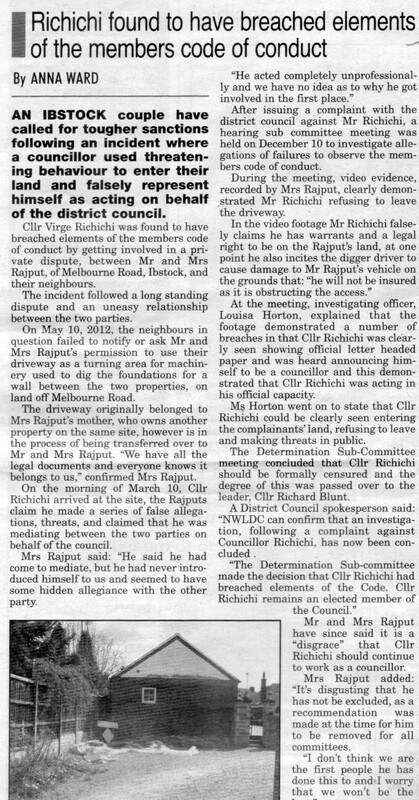 It should be mentioned that there have been some serious attempts at intimidation in connection with our complaint to the local authority, but for reasons of proximity, anonymity was never really an option, but it did allow “The Council” to make the assurance that “although they do have a duty to inform the relevant parties that a complaint has been made, they would not divulge the name and address of the complainant”. It’s not quite in the league of a new identity and a safe house for life, but we should all sleep easy in our beds tonight.